Colin McRae: DIRT Off-RoadJun 19, 2007Codemasters Studios’ designers are back creating a totally reinvigorated McRae experience. The new Colin McRae title will go beyond the series’ point-to-point rallying to deliver the most diverse selection of extreme off-road competitions. Sensationa.. 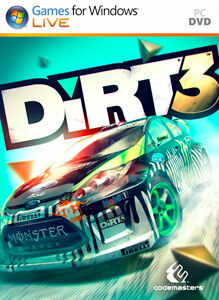 DiRT 3May 24, 2011 (US/EU)DiRT 3 boasts more cars, more locations, more routes and more events than any other game in the series, including over 50 rally cars representing the very best from five decades of the sport. With more than double the track content of 2009's hit, DiR.. 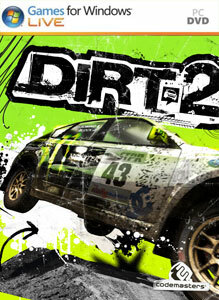 DiRT ShowdownJun 12, 2012 (US)Welcome to DiRT Showdown, an adrenaline drenched rush of speed, skill and destruction. Hyper-energised events and social gameplay combine in this turbo-injected shot of dive in and drive delirium. Use nitros to race past rivals, smash your way throug..
F1 2010Sep 22, 2010 (US)F1 2010 from Codemasters will feature all the drivers, teams, cars and tracks from the 2010 Formula One season, re-created with the help of "unprecedented access to Formula One teams and drivers." 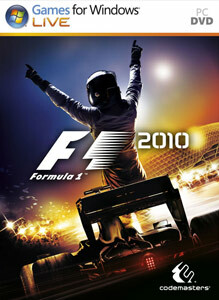 The Ego engine has been further developed f..
F1 2010 (PC)Sep 22, 2010 (US)F1 2010 Games for Windows Version. Experience the exclusive world of Formula 1 like never before. 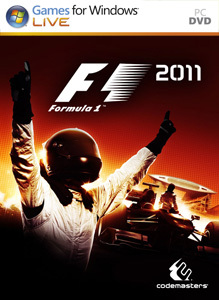 Get behind the wheel of the worlds greatest cars as you race wheel to wheel on all 19 circuits from the 2010 Formula 1 calendar, beautifully re..
F1 2011Sep 20, 2011 (US)F1 2011 is the sequel to codemasters F1 2010. F1 2011 features exciting wheel to wheel racing, enhanced by KERS and DRS, as well as highlighting improved garage, paddock, pit lane and Parc Fermé cinematics that further immerse the player into the lif..
F1 2013October 08, 2013Codemasters F1 2013 is available in two edition: F1 2013 and F1 2013: CLASSIC EDITION on Xbox 360, PlayStation 3 and Windows PC. F1 2013: CLASSIC EDITION is a limited edition, premium package which includes F1 2013, featuring all new..
F1 2014October 21, 2014The 2014 FORMULA ONE season has seen the most seismic rule changes in the sport's 60 year history, including new turbocharged power units and new aerodynamics, which combine to place more emphasis on racing skill and control in cars with more explosi..
F1 Race StarsNov 13, 2012 (US)F1 RACE STARS delivers formula fun on every straight, hairpin, jump and loop-the-loop with super-fast racing and a range of power-ups for you to collect and deploy as you sprint for the chequered flag ahead of your rivals. You will be taken on a worl.. GRID 2May 28, 2013 (US)Codemasters GRID returns to the streets May 2013. GRID 2 will challenge players to be fast, be first and be famous. Going behind the wheel of a handpicked selection of automotive icons spanning four decades, gamers will race their way to the top.. GRID: AutosportJune 24, 2014Following on from the BAFTA-winning GRID and BAFTA-nominated GRID 2, GRID Autosport is the new racing game from Code masters that brings alive the experience of becoming a professional racing driver. Immersing gamers in a world of contemporary motors.. GRID: RacedriverJun 3, 2008Race Driver: GRID take players to beautifully realised and dramatic race locations over three continents to compete in an unprecedented variety of racing events. Packed with the most powerful race cars - new and classic, circuit and drift - players w..
ICC Cricket 2007Mar 23, 2007Brian Lara lends his famous name to this Cricket game on Xbox 360. The new title follows the 2005 revival of the series, which became the first cricket title to ever make Number 1 in the Chart Track’s All Formats UK best-seller list. The game won ove..
International Cricket 2010Jun 18, 2010 (EU)Codemasters steps onto the pitch once again with International Cricket 2010 for Xbox 360. ..
LMA Manager 2006Cancelled (EU)LMA Manager 2006 is a thorough evolution for the genre-leading series. Utilising a new game and database engine, a Transfer Market system with greater depth enabling more complex contract negotiations, and a detailed 3D match section, it's set to be ..
LMA Manager 2007Sep 22, 2006 (EU)LMA Manager 2007 will deliver the series’ totally compelling world of football to the new formats in massively expanded editions, with teams from over 50 countries to manage or pick transfers from. 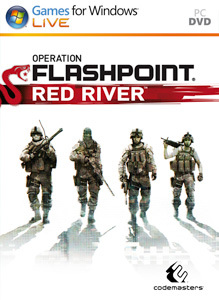 The game will retain LMA Manager’s brilliantly intui..
Operation Flashpoint: Red RiverJun 7, 2011 (US)Red River depicts a fictional conflict with contemporary geopolitical themes, which will unfold over three distinct acts. Operation Flashpoint: Red River, an all-new chapter in the tactical shooter series is now in development and will d..
Race Driver OneTBARace Driver One will be a true evolution for the series, which first appeared as the TOCA (DTM/V8) Touring Car games (1997–2000) and became the TOCA (DTM/V8) Race Driver series (2002-2006). Taking the series from ultimate racing simulation to ultimat..
Ricky Ponting International Cricket 2007Mar 23, 2007Ricky Ponting International Cricket 2007 will expand the series’ trademark fluid, dynamic gameplay mechanics to deliver a thoroughly entertaining and competitive game that captures all the tension, skill and intensity of world-class international cri..